Need to improve sound quality on your video conference setup? 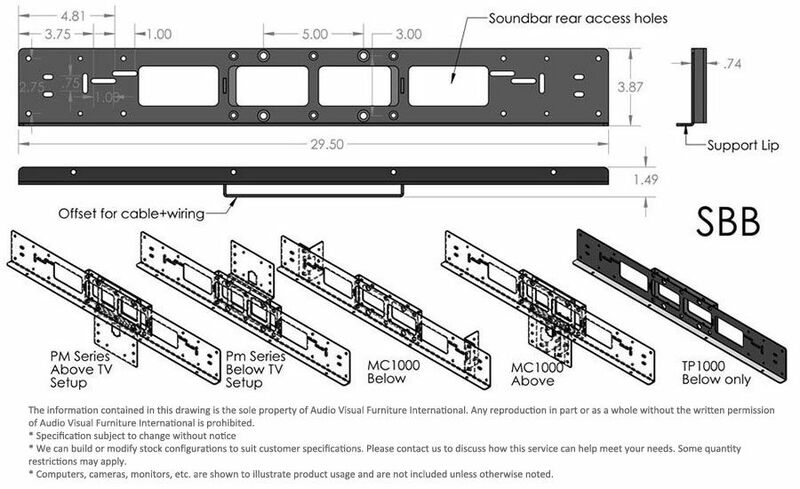 SBB bracket allows you to attach a sound bar to one of our new or existing cart or stand. SBB is compatible with almost all of our carts and stands including: PM-S-FL, PM-XFL, TP1000 stands and MC1000 carts. It has been tested with a variety of sound bars available at local retailers and big box stores.